I have a new paper out in the Journal of Ecology here. The article also contains a supplement with R Markdown code that will allow users to reproduce the analysis in the article nearly faithfully (here, and as a code repository on GitHub here if you want to fork it and modify the code). 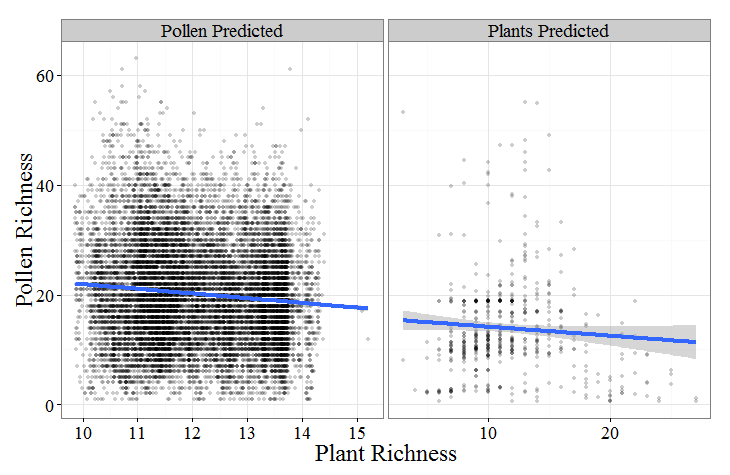 Figure 5 from Goring et al., the relationships between plant richness and smoothed pollen richness and vice versa both show a slightly negative relationship (accounting for very little variability), meaning higher plant richness is associated with lower pollen richness. Three new papers in various stages of publication. Although pollen richness has acted as a proxy for vegetation richness in the literature, our paper shows that this may not be the case. Taphonomic processes, from release of the pollen to deposition and preservation in lake sediments, appear to degrade the signal of plant richness to the point that there is no significant relationship between plant species richness and pollen taxonomic richness. The supplementary material includes all the R code and a sample of the raw data (we could not freely share some of the data) used to perform the analysis. Another great paper on Holocene and late-Glacial change in the Mediterranean, part of a Special Series in Climate of the Past. This paper uses multiple proxies, including the use of clay mineral fractions to match climate signals from pollen to sediment transport into the Adriatic from the Po River watershed, sediment blown from the Sahara and sediment transported down the Apennines. This paper further examines shifts in seasonal precipitation in the central Mediterranean associated with changes in insolation during the Holocene and broader scale shifts in the relative influences of major climate systems in the region. Three great papers in a row! This paper uses modern pollen traps in the Konza Prairie LTER to examine the relationship between Sporormiella pollen and bison grazing. This is an important link to make because Sporormiella has been used to indicate the presence of megafauna such as mammoths and mastadons in the late-glacial. The declining signal of Sporormiella at Appleman Lake, IN was a key feature in the onset of non-analogue vegetation at the site in the late-Glacial (Gill et al., 2009). This paper provides an explicit link between the theoretical potential of the spore as an indicator of megafaunal presence and the degree of grazing at sites. Posted on 10/07/2013 Categories Biographical, Data sharing, New Article, R CodeTags British Columbia, Climate of the Past, Italy, Journal of Ecology, Konza Prairie, plants, pollen, richness, Sporormiella3 Comments on Three new papers in various stages of publication. Choosing the right acronym for your project. In my first thesis publication I propose a method for pollen-based climate reconstruction using non-metric multidimensional scaling and generalized additive models, called (clunkily) NMDS/GAM. Follow this up with a talk by Jim Ramsay where he discussed the fact that Functional Data Analysis isn’t really an accurate title, but it’s catchy. He (jokingly?) made the point that if you want people to use your method you need to come up with a good name for it. Continue reading Choosing the right acronym for your project. Posted on 25/04/2012 25/04/2012 Categories New Article, Research & Teaching1 Comment on Choosing the right acronym for your project. It’s not the Rolling Stone, but it’s a cover nonetheless. Our Garry oak paper made the cover of Environmental Management, although strangely the journal homepage still has last issues’ cover up, so just trust me on this one. Continue reading It’s not the Rolling Stone, but it’s a cover nonetheless. Posted on 10/04/2012 03/07/2012 Categories New Article, Research & TeachingLeave a comment on It’s not the Rolling Stone, but it’s a cover nonetheless.